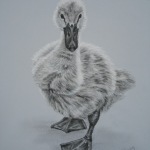 If you love to draw and paint the natural world and appreciate the beauty of nature’s detail then read on . . . . 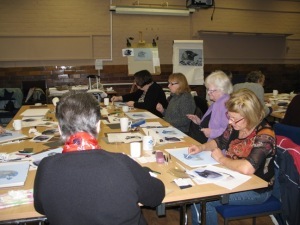 Whether you are an individual, a small group of friends or an Art Group looking for tuition in the medium of Pastel Pencil – workshops and courses can be arranged to suit your needs. 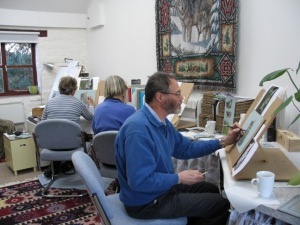 These workshops will appeal to budding or experienced drawers and painters keen to learn the techniques and materials required to represent the beauty of nature in fine pastel detail – fauna, flora, fur and feathers, animal, vegetable and mineral ! Animal, Vegetable or Mineral ? 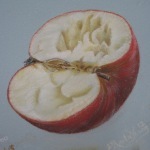 Learn key techniques for using pastel pencil to represent the various textures of Mother Nature’s essential elements – animal, vegetable and mineral. 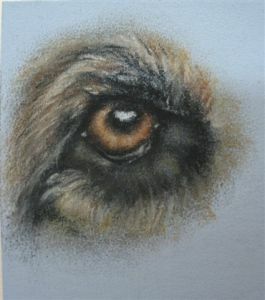 Learn the essential techniques required to draw a pastel pencil study of a mammal or bird. More details . . . . Learn to draw and paint Nature in pastel pencil from basic techniques to full composition during 4 separate days, typically arranged over 4 consecutive weeks. A range of different types of event are available to suit your group size, time availability and learning requirements – from basic demonstrations to full day workshops.